Use PVC in Giveaways and Promotions to Grab Attention! PVC products are a great way to promote your organization. Whether you’re a small business, sports team, large corporation, or anyone else wanting to make yourself know, look no further than PVC! With a variety of items and to choose from, you’re sure to find the perfect way to get noticed! 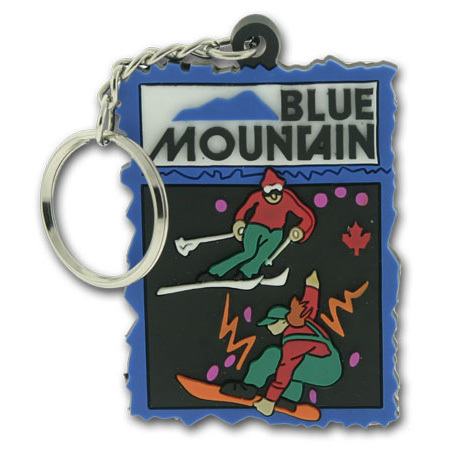 Some of the most popular items include PVC key chains, luggage tags, pins, and much more. PVC giveaways and promotions really help to make the most unique impression that will be long lasting. Unlike traditional promotional items made of metal, or injected plastics, these tend to get more attention since they have a great feel, look nice, and they are very durable. There are limitless possibilities since you can make designs in 2D (with different layers), or 3D (a rounded effect for letters and designs). Send us your project's details and we will help you make a great PVC Label. The most popular PVC products to giveaway and promote with are key chains, luggage tags, and lapel pins. Key chains made with PVC are great since many people typically play with their key chains, and your message will always be with them. In addition, they are malleable so they wont catch on pockets, or be hard to toss when you’re in a hurry! In addition, many different size and shape options are available. PVC luggage tags are also becoming more and more popular. They can be made in almost any custom shape. The can have an address card can be printed on the PVC, or we can add a hard plastic slot for the paper address card. As with any other PVC product, your design can be made 2D or 3D. Lapel pins made from PVC are gaining popularity as well. They are lighter weight than heavier metal based pins as well as have and element not seen everyday. In addition, they are very rugged and easy to clean. 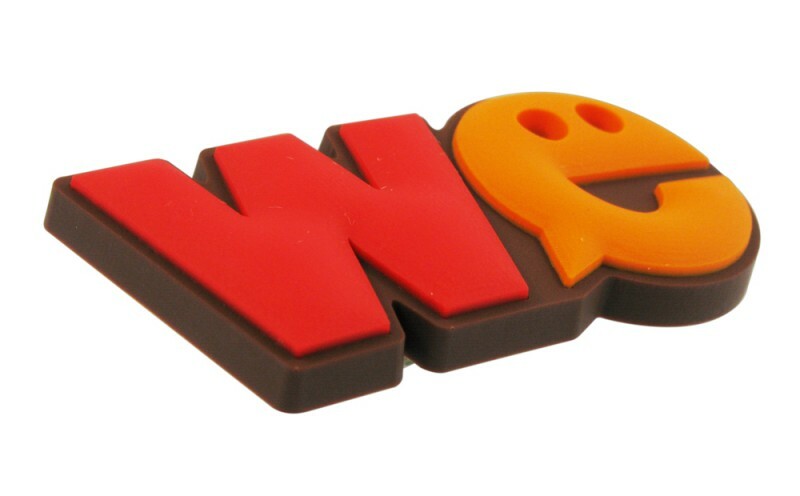 Are you looking into having your logo turned into a PVC Item? If you are interested in having your design turned into a PVC promotional or giveaway item, just submit a file of the image or artwork and have our team of specialists review. We’ll be more than happy to provide you with a quote and answer any questions. Are you a business owner who is looking for some creative out-of-the-box ways to advertise your products or brands to expand your business and increase sales? 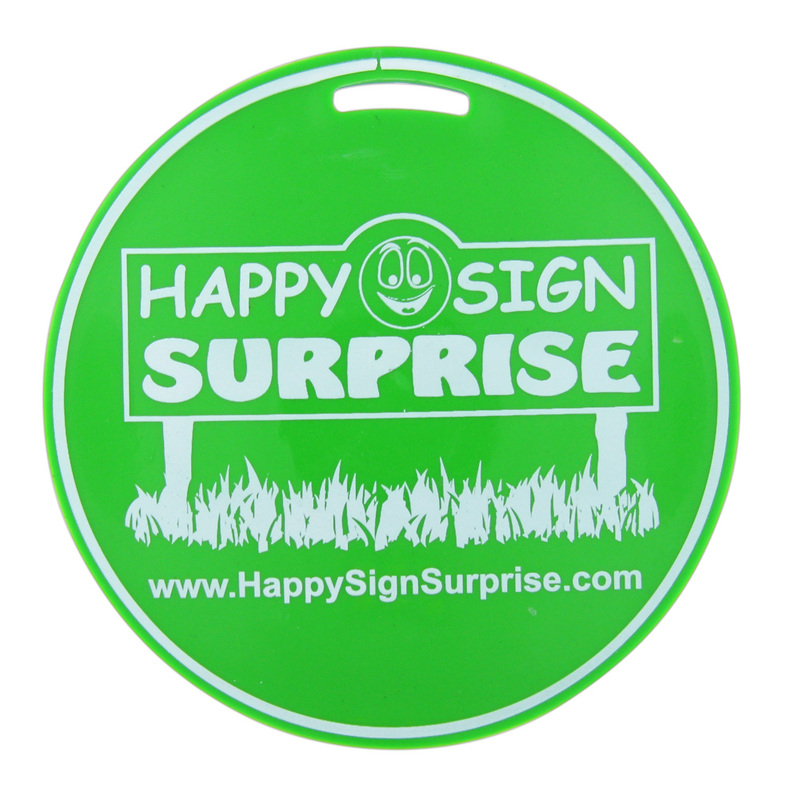 Soft PVC products work great as promotional items because they can either be made in 2D or 3D, moreover, they can be made in any color and they’re weather resistant. They won’t fade in the sun or hot climate. They are the best choice for outdoor gear such as boat covers, tents, backpacks or any product that is designed to be used outside. PVC products are for the most part perfect for the purpose of product advertising and company promotion. The shape and size can match almost any spec. If you are not sure of how to start using PVC products to advertise your business, the easiest way is to start with a key chain. A great design will make your message catchy enough to grab people’s attention. If you aren’t good at this, consider asking a friend or hiring a professional graphic designer or marketing professional to help you in these tasks. This will be the most important part of your venture, as your logo and message is what will make people take notice of you and your product. Next, find a really good manufacturer of soft PVC products that can help you with your project. You can provide them with your needs and specifications and have them assist you in generating ideas for your campaign. Finally, understand that making a PVC product will take about 1 weeks for sampling and 3 weeks for production.